Mr believe that two things are important, your hair and your experience. Founded by Chris Phillips and Karl Lewis in 2011, they bring a combined experience of 25 years. 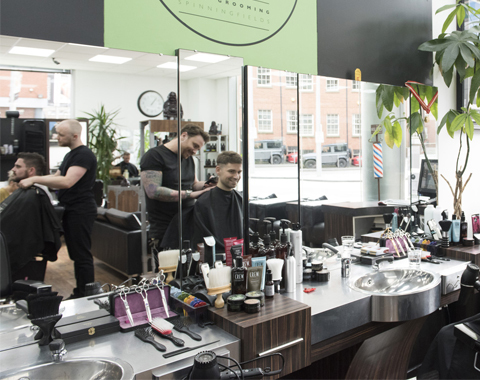 A clean and comfortable place to visit, you’ll receive excellent service and complimentary refreshments at Mr’s Spinningfields salon. They offer both a walk-in service and the option to make appointments Monday to Friday. So drop in and see the Mr team, and we guarantee you’ll receive the warmest welcome in Spinningfields! Plus, as an extended Christmas gift, customers can receive 20% off Haircuts at Mr Male Grooming from 1 – 31 January 2019. Offer is valid before midday between Monday and Thursday. To claim the offer, please call the unit (0161 834 1610) and mention ‘Spinningfields 12 Days of Christmas’.